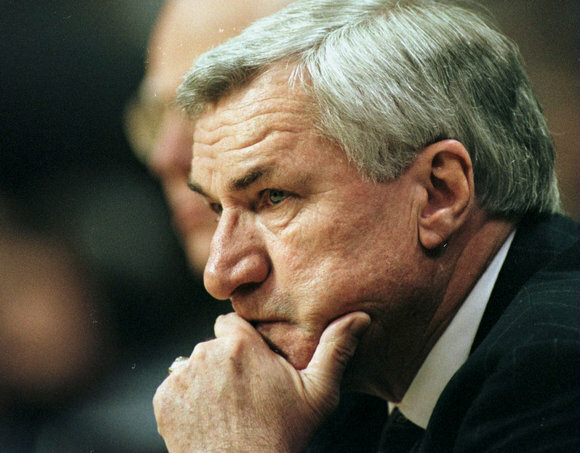 Coach Dean Smith, who led the University of North Carolina basketball program for 36 years, died on February 7, 2015 after a long battle with dementia. Throughout his coaching career and his life after coaching, Coach Smith embodied many of the characteristics of quintessential leadership. He was not a perfect man, but none of us can claim perfection either. There were times when he wasn’t a quintessential leader, just as there are times we are not quintessential leaders. But when Coach Smith’s life as a whole, both on the basketball court and off, is considered (and that’s the only way to consider anyone’s life, including our own, because no one – including each of us – gets it right every single time), it’s clear that his goal was to be a quintessential leader. And the results of his commitment to that goal are evident to this day.